Backline equipment has become essential for bands looking to create a professional, high-quality sound for any type and size of audience. There are many reasons why hiring backline equipment can reduce the inconvenience for customers and allow them to enjoy their event, whatever the scale and profile. Companies are able to offer short and long-term hire and can provide bespoke packages to create the perfect sound. So, why is this Service necessary? Firstly, with an event that takes planning, you want everything to run smoothly. Taking the easy option involves handing all PA requirements over to the experts so that you can focus on everything else. The logistics involved in planning events can prove overwhelming when you consider insurance, safety and maintenance and legislation, not to mention the design and setup of your venue. Eliminating the inconvenience also means saving yourself the manual labour. Carrying heavy equipment can be expensive, time-consuming and always involves the risk of damaging items. By hiring equipment from registered companies, you are assured that all equipment will be safely transported and there’s no need for constant maintenance on your part. Travelling to and from events, particularly around London, can be a challenge especially with lots of kit. Backline rental makes travelling easier and less costly since huge batches of equipment are transported using professional methods and shipped efficiently. 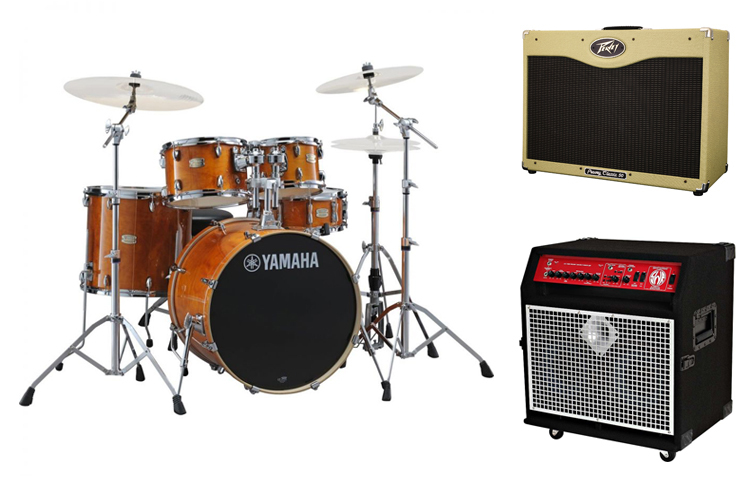 Although musicians may want to have their own kit, it can prove costly to purchase all equipment needed for all types of gigs, venues and bands. The aim of equipment hire companies is to allow musicians to focus on their core setup and avoid the unnecessary cost that comes with purchasing and maintaining all the gear so that they don’t need to compromise on the sound. Another benefit of backline hire is that kit can be provided which is relevant to the scale of the project. Details such as the size of an audience, size of venue and facilities already available are taken into consideration in order to provide the best equipment. Customer requirements may change from gig to gig but experts in sound services can accommodate these changes through access to a wide range of high-quality equipment. Having access to bespoke, flexible service makes equipment hire the no-nonsense option. Part of the bespoke service available includes the planning of your event and the equipment needed. Expert technicians are readily available to assist with all requests and provide support to ensure that your event runs as smoothly as possible. The quality of the sound is of paramount importance which is why staff are able to consult on the best equipment to use. Furthermore, they have access to the most modern, high-performing kit that will guarantee the professional sound you are looking for. Ultimately, the aim of sound services is to provide a cost-effective way to resource your gig. Backline set up can involve a whole host of equipment and resources that, when dealt with incorrectly, can become a big challenge and potential danger. The benefit of professional hire is that all the hassle is eliminated from the process and left to the pros. If you’re looking for backline hire in London, make sure you find a supplier that are fully equipped to provide audio systems including backline equipment for any event from club nights and live bands and arenas to in-store events, weddings and fashion shows. That way, you’ll know they have the experience and range of kit to best suit your needs.